Throughout the Marshall Islands there are a number of small medical dispensaries and hospitals. In these remote and humid locations it is essential to keep medicine at a constant temperature. We won a competitive bid against Tenesol to provide solar powered Sundanzer freezer units to many outer island health facilities. These 400 watt systems used Phasesun gmbH monocrystalline panels, adjustable aluminum racks, 5 compact fluorescent lights, and provided power for a Shurflo water pump and a SSB radio. 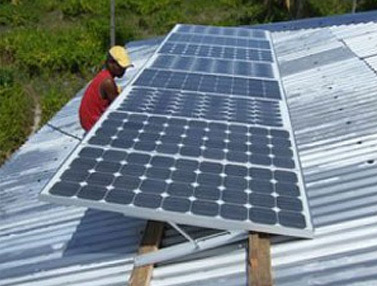 A total of 25 units were installed including on Arno and Mili Atolls. Training for system installation, operation, and maintenance was provided. 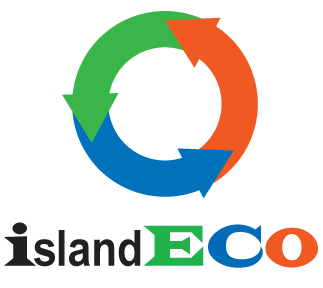 A similar solar PV system was installed by Seacology in Ailuk Atoll, and Island Eco provided the circuit diagram and components for this 800 watt system.